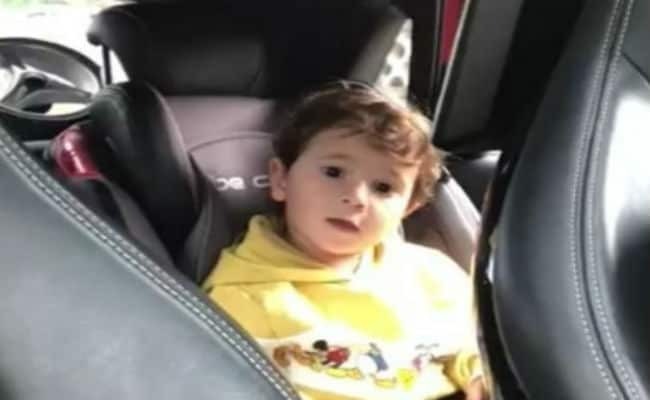 The clip on Instagram shows Messi's two-year-old son Mateo singing a nursery rhyme in the regional language. Barcelona: Barcelona's Argentine legend Lionel Messi entered the highly-charged drive by Catalonia for independence on Friday when he posted a video on social media of his child singing in Catalan. Among the flood of comments triggered by the post was one from Messi's teammate, Gerard Pique. In his comment to Messi's Instagram video Pique replied: "In Catalonia they never stop indoctrinating children with 'Jean Petit qui danse'..... (the title of the nursery rhyme)" in a sarcastic dig at those in Spain who accuse Catalan authorities of indoctrination in schools. His tongue-in-cheek blast was topical as it came after the Madrid government on Tuesday rejected an attempt to beef up school inspections to stamp out the alleged indoctrination of children. Central defender Pique has never publicly backed independence, but has been an outspoken campaigner for a referendum on the issue. His participation in the October 1 independence referendum deemed constitutionally illegal by Madrid has seen some fans call for the veteran Spanish international to stop playing for his country. Pique and other leading members of Spain's 2010 World Cup winning team have urged dialogue between political leaders on both sides of the divide to avoid a repeat of the violent scenes triggered by this month's vote. Messi and Pique's club finds itself at the centre of the crisis in Catalonia. At Wednesday's Champions League game against Olympiakos at the Camp Nou a near 50-metre banner produced by Barcelona called for "Dialogue, Respect, and Sport" before kick-off as Barca continued their plea for both sides of the political divide to reconcile their differences.